Could that be right !!! Fresh Fruit and Vegies can significantly lower the risk of premature death. An apple a day keeps the doctor away, now add two more fruits and 7 servings of fresh vegetables and you will reduce your chances of mortality by approximately 42% over any given stretch of time, says a new study just completed from the University College of London. In other words, eating hearty portions of fresh fruits and veggies is extremely beneficial to your health, regardless of what your other unhealthy traits are. Alcoholics, smokers, the obese, the poor and the elderly all benefit from habitual fruit and vegetable consumption. And vegetables were by far the most helpful. 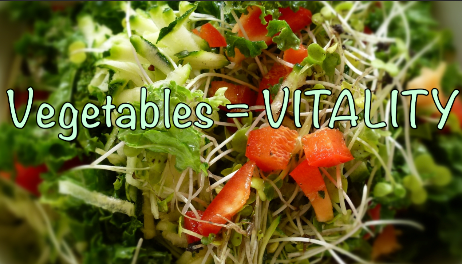 Each daily portion of vegies reduced mortality risk by 16%, compared to 13% for salad and just 4% for fruit. But there’s a major caveat: Fruit juice doesn’t appear to have a beneficial effect, and canned and frozen fruit appear to be actively harmful to health. The association is murky since the study didn’t differentiate between canned or frozen fruit, but each portion of either was correlated with an increase in mortality risk by 17%. Dr Oyebode says this could be because canned fruit is high in sugar and often packed in syrup. Another possibility is that people who eat canned and frozen fruit have poor access to healthy, fresh fruits and veggies. Besides eating fresh fruits and vegetables, there are plenty of other dietary adjustments needed to make a dramatic impact in your health, particularly those who believe they are eating healthy food. You could start by reducing the amount of fat from your diet entirely. We are advised to not to consume Saturated or Trans fats but introduce Polyunsaturated fats because of the Omega 6 and 3 properties. That’s fine if we understand the right ratio, which many don’t. My next blog I will write on (Omega 6 and the danger of overdose. I guess we are all racing from the grave and in the end; none of us can beat the reaper. But this study is pretty compelling evidence that you can get a pretty damn good head start by eating your greens.